We’d be delighted if any willing knitters out there could help us to create Twiddlemuffs. 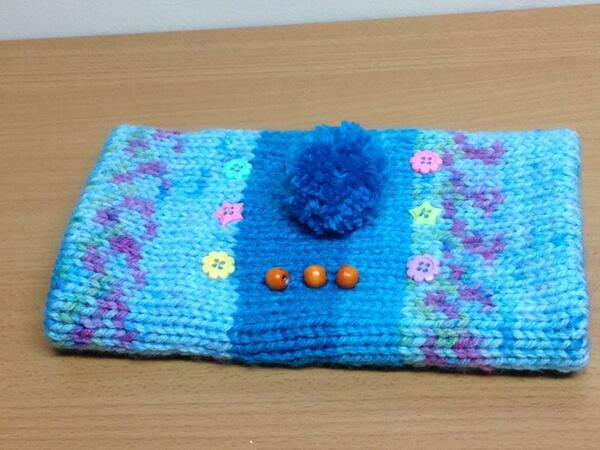 Twiddlemuffs are knitted muffs with buttons, zips, velcro, ribbons etc. attached to them. They are designed to provide a stimulation activity for patients who have dementia or confusion. We need twiddlemuff knitters and if you can't knit we can teach you - left or right handed. We would like to get as many twiddlemuffs as we can to distribute around our borough to help those suffering from Dementia/Alzheimers.